You do not have to travel across country to visit a scenic area. One beautiful area in the Midwest is Northern Wisconsin and its Northwoods. 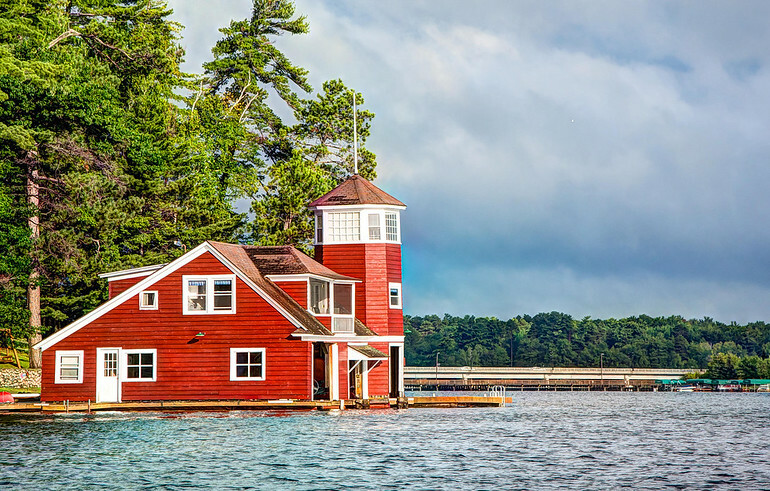 Lake Minocqua hosts many attractive well maintained boathouses and is worth visiting just to see the these structures. Here is a large red boahouse that always makes a great subject for photographers. This is a three shot HDR photo, processed in Photomatix and Lightroom to bring out the color and the storm clouds.